Occupying two city blocks on the southeast side of Grand Rapids, Michigan, Oakhill embraces more grandeur than first seems on offer in such a diminutive and seemingly unassuming cemetery. Oakhill began life (yes, pun is intended) in 1853 as a Jewish burial ground. In 1859, two other cemeteries were established on the surrounding properties…these were Valley City and Oak Hill. At some point in time, the two were united and, together with the former Jewish cemetery, assumed the name of Oakhill. Today, the clear evidence of that former division lies in the fact that one part of the cemetery (the original Oak Hill) is on the north side of Hall Street and the other (formerly Valley City) is on the south. Without a doubt, the most impressive of all the mausoleums is that belonging to one A.B. Watson. 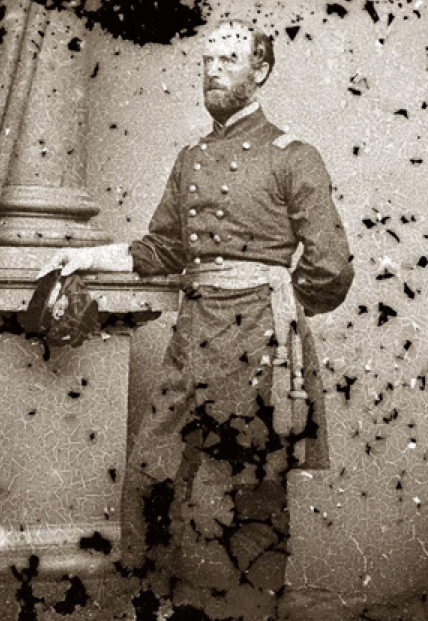 In life, Amasa Brown Watson attained the status of Major in the Civil War. Subsequently, he amassed (there's another pun!) great wealth as a lumber baron in Muskegon, Michigan before settling in Grand Rapids where he established the A.B. Watson Veneer & Panel Company. He was also invested in a number of local businesses, including the Fourth National Bank and the Grand Rapids Brush Company. After his death at the age of 62, he had a traditional ground burial at Oakhill and in that earthen embrace his body would remain for the next 27 years until the day of his wife (Martha's) funeral when the couple were reunited in the crypt beneath the glorious Egyptian Revival mausoleum which she'd had constructed for that very purpose. The building is composed of granite, though whether from Vermont or New Hampshire seems arguable. It is also up for debate as to whether or not the structure was modeled after an actual, or merely figurative, Egyptian temple. What is not in question is the fact that the mausoleum, which is the largest in the city (and one of the most sizable in Michigan), is beautiful! Two wide steps lead to heavy bronze doors adorned with papyrus leaves. On either side of the stairway, a sphinx in long Egyptian headdress stands sentinel. Pairs of papyrus columns support the tiered roof which holds the distinction of being composed of the largest single piece of granite quarried in Western Michigan. The roof alone was valued at $200,000 in the early 1900s. In today’s currency, it is estimated the entire mausoleum could not be reproduced for less than two million dollars! Although the interior is hidden from view by the aforementioned bronze doors, our research indicates it is an open space with several benches designed for contemplation and a podium for the delivery of eulogies. Hinged panels in the floor open to receive the bodies of those to be entombed beneath. Aside from Watson’s name above the doorway, there are three others inscribed on the remaining faces of the building: J.A. Brooks (Waton's brother-in-law), W.J. Mead (Watson's adopted son), and T.F. Carroll (Thomas F. Carroll 1854-1926: Watson's son-in-law). The Hayden mausoleum is located near the center of Oakhill. Unlike the well-maintained Watson monument, it is sadly overgrown and forcibly conveys a sense of dreams lost to time. Never anywhere near as grand as the Watson mausoleum, the Hayden building, nevertheless, possesses its own quiet beauty. Two papyrus columns support the impressive granite roof. Above the bronze doors, the Hayden name stands out boldly beneath a mightily-winged Egyptian sun disk. Do take a moment to step up to the door and allow your eyes to adjust to the dim interior light. 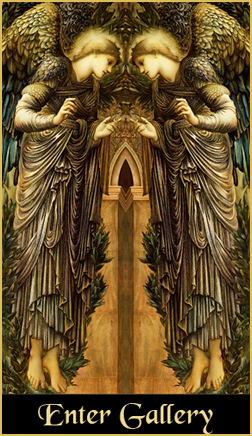 Your reward will be the sight of a still richly-coloured stained glass window depicting a beautiful veiled woman with serpent headdress who leans against a dark shape which resembles a casket, her powerful right arm holding a lit, inverted torch…symbol of death. Even as Mrs. Watson was the driving force behind her family’s massive memorial, so too was a woman responsible for the choice of design here. We refer to Alice Hayden, daughter of real estate tycoon, James H. (Jockey) Brown. Alice was one of two daughters who, upon their father’s death in 1891, became involved in a wildly-litigated case. As the story goes, James H. Brown left the lion’s share of his sizable estate to his daughter, Margaret Haines. The other daughter, Alice Hayden, was granted only a meager portion. Alice contested the will and both women retained the city’s finest legal counselours to represent them…four for Alice and six for Margaret! The trial became a scandalous affair wherein Alice accused Margaret of convincing their father that Alice’s birth was the result of an affair between Mrs. Brown and her physician. Alice maintained she was a legitimate child and, as such, was entitled to half her father’s estate. The trial lasted several months and was the talk of Grand Rapids during that time and even years after. (Too bad they couldn’t simply test her DNA!). Eventually, Alice was triumphant. Despite Margaret’s appeal to the Supreme Court of Michigan, the verdict was upheld and the estate was equally divided. While we at Bella Morte do not know what Margaret did with her portion of the inheritance, we do know Alice was charitable with her fortune, establishing the “Woman’s Home and Hospital,” a/k/a "The Brown Home for Aged Women." Today, the building serves as the home of the William C. Abney Academy for grades K through 7. Such is Alice’s legacy! Another remarkable mausoleum (this one being Classical Revival in design) is that of the Solomon Lewis Withey family. Mr. Withey wore many hats in life. He was a teacher, a lawyer, probate judge, state senator and bank president. Along with his philanthropic wife, Marian, they built a mansion on the corner of Fountain and Division streets which boasted the first bathtub ever installed in Michigan! Their mausoleum, situated atop a hill, seems an even-more-peaceful oasis in the already serene cemetery. With its ionic pillars and lush landscaping (including a host of cherry trees) it bespeaks the elegant lifestyle of a bygone era. The building houses eight vaults, all of which are occupied by members of the Withey family. Finally, of note on the north side of the cemetery is the 50’ obelisk erected in memory of the Bissell family. The structure is surmounted by a female figure who holds a garlanded cross in her left hand while, with her upraised right arm, she points heavenward. If you think “vacuum cleaners” when you read the Bissell name, you are absolutely correct. This is the resting place of Melville Bissell (and family). It seems Melville was severely asthmatic and, in order to make breathing a more easeful process, he invented a “carpet sweeping machine.” The rest, at least in the cleaning industry, is history! Across the street, in the former Valley Cemetery section, stands the towering Marcus Brown Pyramid. It is known that Brown, like his more ostentatious neighbor across the street (A.B.Watson), was a lumber baron; however, (and strangely) no other information on him remains…the facts of his life having been mysteriously lost to antiquity. Though the interior is not visible, we understand a central pillar stands in the darkness to support the 15’ apex of the pyramid. Surrounding the pillar are 12 crypts…only 7 of which are occupied. Just across from the Brown memorial stands a lovely zinc “stone” erected in memory of George W. Griggs who, according to this monument died on the 23rd of March, 1887 at the age of 71 years, 3 months and 22 days (one has to love the Victorian attention to detail!). Though we know nothing of Mr. Griggs’ life, we can ascertain he was a gentleman of learning whose intellect did not allow him to remain imprisoned by the constraints of his multitudinous, mundane contemporaries who settled for pat religious verses, crosses and lambs to decorate their resting places. The striking brick former Receiving Vault is also on this side of the cemetery. Nestled into a small hill and smartly accented with ornate copper gutters, the arched doorway and open grille-work lend it a stately aura. Despite the bricked-over windows, there is something inviting about the building that makes one wish it could be opened and pressed into some sort of service befitting its beauty and ideal location. Directly across from the Receiving Vault is a flat expanse of grass which seems at odds with the rest of the monument-flecked grounds. Alas, do not be fooled into thinking this space awaits the grandeur of a new mausoleum to house the mortal remains of someone from today’s upper class… for beneath the lush grass lie the bodies of hundreds of individuals who were too poor to pay for their own graves. Adding insult to their sorry disposition is the fact these dead shall remain forever nameless, all records of their being having been lost to a fire in decades past. Today, this portion of the cemetery is barred from burials in deference to those unnamed residents whose rest might inadvertently be disturbed by backhoes and heavy machinery. Also of note on Oakhill's south side is the beautiful Morris mausoleum which blends a handful of architectural themes and emerges with a building that is quite gothic in feel with a slight hint of Egyptian thrown in for good measure! What makes this mausoleum most unusual is the life-size figure of a seated woman at whose lap a young girl kneels. The statue is not what is unique. Indeed, it was a stock piece and can be seen in many cemeteries; however, its placement above the door of a mausoleum is something we have never seen before. The effect is arresting and beautiful. Nearby, a strange bedrock boulder is carved with all manner of celtic knots, crosses and the names of various organizations to which the man it memorializes belonged. This is the David Kendall stone. Kendall was a well-known furniture designer who, according to his monument, claimed membership in The Sons of the Revolution and The Massachusetts Society (a group populated by descendants of individuals who came to America on the Mayflower). So ends our tour of Oakhill. Although it lacks the splendor of larger Victorian-era garden cemeteries, one could easily do worse than to pass a few hours among the stones and mausoleums that wait to share their beauty with those who have eyes to see.